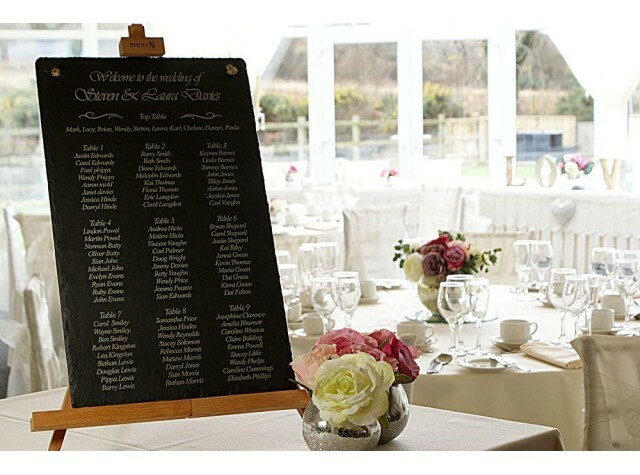 Carefully hand cut and finished, our bespoke Welsh slate table plans are laser engraved with the names of all of your guests, to help guide them easily to their table. Fully customisable to your specification, it can hold the names of over 120 guests - guiding them seamlessly to their tables. Once you have placed the order, email us your requirements so we can create the designs for your approval. Comes with a large wooden easel. Avoid contact with cleaning products and oily substances as this will affect the engraving.